FOR YOU SAGITTARIUS! Pluto in Capricorn is moving through Sagittarius' 2nd house of value systems, physical possessions and money, personal self esteem and talents. This house also rules your personal earnings, bankers, budgets, money that "you" make, material resources, value system, monetary gains and losses, security. Basically this house is about your self-worth. Pluto is a natural ruler of money, since it rules the opposite house of this 2nd house. Pluto in this 2nd house can be greedy in the house of 'I have therefore I am', in other words, "Mine!" Not only can this placement of Pluto make you greedy, but it can make you incredibly selfish. 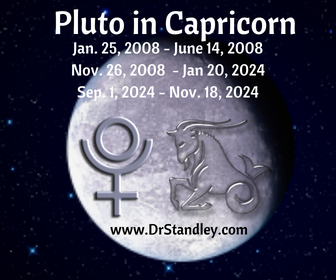 Pluto in this 2nd house has a very strong ambition to acquire money (cash). This Pluto transit says, "The only good check is a cashed check!" This placement not only wants and desires cash money, it wants and desires material possessions. Therefore, it is important that Sagittarius remain 'aware of where' their money is coming from and who they connect their cart to in order to make more money. Since Pluto naturally rules this 2nd houses opposite house, which is the 8th house, then this placement not only involves your earned income, it involves other people's money as well. This could mean wills, inheritance, mortgages, loans, insurance, stock, bonds, child support, etc. Financial ambitions are pretty much all you may think about during this Pluto transit. Pluto wakes up thinking about money and goes to bed thinking about money. Just make certain it is all on the up and Up. You will possess the imagination and knowledge of how to make money through hidden resources. This means you will be able to come up with ideas about making money that other people just do not entertain. You are quite innovative in this area. No matter what it is, if you think 'money' then you have an idea of how to make it happen. If you do not want the idea, then give the idea to someone else. You can also ask for a cut in the deal if they make something out of that idea you gave them. There is also the strong likelihood that Sagittarius will have to go through a purity through fire type of energy, where you may lose so much money in order to clear the table and start anew. This will likely occur earlier on during this Pluto transit and then as time rolls along, you will make more money simply because you learned through trial by fire. Perhaps you acted and reacted too quickly and lost your shirt and now you know to take your time and not to jump the gun. This could involve taxes, wills, legal trouble, but again, this will likely occur earlier in this transit than later since you had to learn quickly. Sagittarius does not like to go without . . and won't. So gather your lessons early and move on. Make certain you read the monster-size write-up for Pluto in Capricorn here! To see how Pluto in Capricorn will affect you personally rather than as an entire population of Sagittarian's, locate the Capricorn house in your Expansive Natal Chart and that is where Pluto in Capricorn will be transiting and transforming your Life. If you are having trouble locating this house and 'I wrote' your Expansive Natal Chart, then you know you can call me anytime and I will help you locate that house. I do not take phone calls to interpret natal charts that were written by someone else. 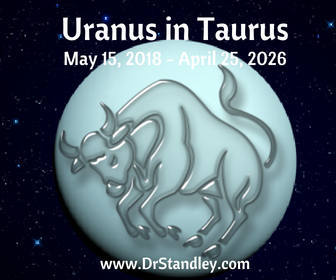 For all Sagittarian's, Uranus is electrifying and creating change in your 6th house of daily life, physical health, hygiene, food, work ethic, employees, service, skills, servants, clothing and sickness. It is about the service you give to others and your daily habits, routine, the working environment, pets, animals and service. Basically this house reveals the analytical mind, your health, hygiene, level of criticism, perfection, fitness, routine, in-service to others, volunteerism, co-workers, employees, daily regimen, organization, scheduling, neatness and cleanliness. When it comes to health, fitness, diet and lifestyle, you will become an experimenter, trying new diets and health fads. Whether it is herbs, sound therapy, floatation therapy, chakra balancing, aura readings, astrology charting or homeopathic medicine, you will be interested. The stranger the better. You will probably try just about any type of new daily health regimen. You may find yourself going the healthy pill and powder route for a while and then move on to juicing and a vegetarian diet. Who knows? Your health may bounce around with various issues that tend to pop oup out of nowhere. If you do not have a pet, you will probably get one now. You may become more interested in animal causes and shelters. You may also adopt an unusual pet that is uncommon to the average family. This would be a smaller type of pet. There may be changes in your day-to-day schedule or work routine, where you were working at the job site and now you are working part time from home and part time at the company office. Your daily work environment looks completely different. If work becomes too routine, then you will likely shake things up just to experience some change. This placement will produce trouble when the nature of the work is routine. You must have change and the opportunity to express your original ideas for improving the work place. You are the type that has to learn the hard way to do what you are told, no more or no less. There is a high probability that you will work yourself into a nervous condition (anxiety), and at other times, you fight the job or with co-workers the whole way. You are a highly inventive employee, but one who is bound to have problems with the boss, and sudden breaks and changes in work may be expected. For all Sagittarian's, Neptune is shining spiritual rays on your 4th house of home and family. It describes your roots, your heritage and your private life. This house also rules land, property, residences, domestic affairs, psychological foundations, biological inheritance and place of abode. Basically this is about the home, family, mother, older women, nurturing, cooking, gardening, tradition, moody, feelings, over-emotional, antiques, nostalgia, emotions, intuition, tears, water, land, mining, property, your heritage, places of abode, residences and your roots. Read more about what the 12 houses rule here! Neptune in the fourth house indicates a strong association with the base of personal security, which is your home life, and probably your mother. This placement reveals strong and unconscious emotional ties with your home and family. You might even notice that the lesser dominate of your parents may be more intuitive during this time. And if you have Neptune in your 4th house, then the lesser dominate of the two parents will be more intuitive or at least have a distinctive personality in some way. It is likely that you may hold idyllic memories of the home and family, which may or may not be true. Neptune has a way of playing tricks on the mind and get easily get you to believe, whatever you choose to believe. There may also have been a sense of loss surrounding the home or family. You may seek to escape your home reality into a dream-like home setting. This would be where you decorate or make your home a place of escapism. There is a sense of uncertainty attached to the home environment, and this is often caused by some behind-the-scene issue, such as an alcohol or drug abuse in the home. It could be something else, but something is definitely going on that is creating uncertainty. 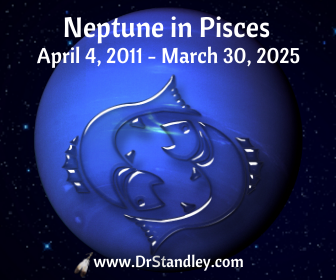 Those with Neptune in the 4th house in the natal chart will have experienced some sort of abuse, whether it was having an alcoholic parent, neglect or even sexual abuse. In astrology, abuse in any form (physical, sexual or chemical induced) is equally as significant no matter how it came about. There will be a strong desire to live near the water or visit the water during this transit. This placement may also cause you to become more reclusive and withdrawn during its transit.